As we look forward to the return of the Horsepower Rodeo to COTA, we take a look back at MotoGP’s recent history at the award-winning Circuit of The Americas in Austin, Texas where the world’s greatest two-wheel riders will return for the fifth successive year this April 21-23 for the only MotoGP race to take place on American soil in 2017. When it comes to the business of racing Grand Prix motorcycles around the Circuit of The Americas, only one person can truly claim to have mastered the art: reigning world champion Marc Márquez. Four times has the MotoGP circus visited the Texan facility, and four times has the Spanish sensation left the opposition scrambling in his wake. Impressively, the first of these occasions, in 2013, was only Márquez’s second ever start in the premier class, the then-20-year-old making history as the youngest rider ever to win a race at the top level of grand prix motorcycling. Since then, he’s monopolized pole position and the top step of the podium every year, and more often than not in dominant fashion. So, what makes COTA such a happy hunting ground for Márquez? The answer lies in the specifics of the track layout, which suit not only his riding style but the strengths of his Honda RC213V motorcycle, which has a shorter wheelbase than its chief rivals – giving it extra agility to negotiate the Austin circuit’s many quick-fire changes of direction. Then there’s the man himself, who thrives in the track’s more technical sections; in particular, the series of corners following the long back straight, Turns 12, 13, 14 and 15, are perfect for Márquez, whose preferred style is to brake as late as possible (with the rear wheel often lifting off the ground slightly as he does so) and keep the bike leant over for the shortest possible time. The same applies to Turns 1, 11 and 20, which combined with the aforementioned sequence of turns, give the three-time champion plenty of opportunities to distance himself from his pursuers. 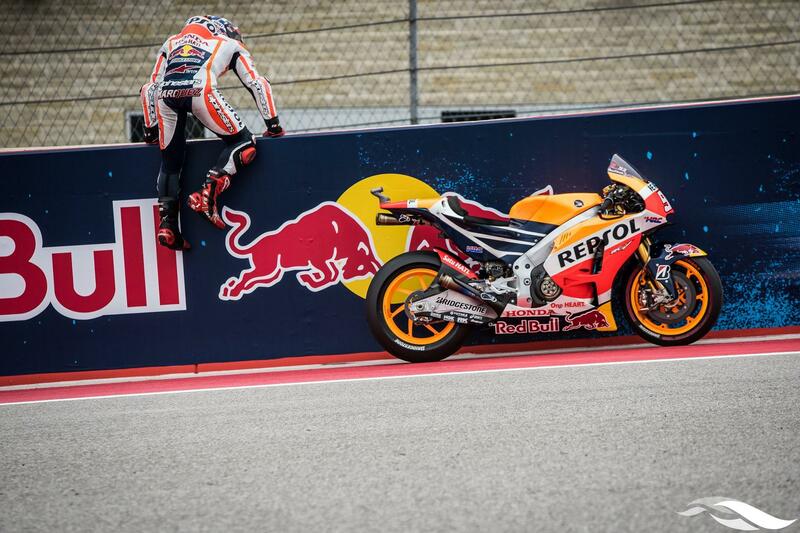 However, the most memorable moment of Márquez’s streak of success at COTA came not during a race, but in qualifying in 2015. That year, when his Honda suffered technical trouble with just three minutes left of the session, he was able to park his first bike, hop over the pit wall and on to his back-up machine – and not only still grab pole, but lower the lap record by a full six tenths of a second! But with COTA’s fifth-ever MotoGP race just around the corner, the evidence so far of the 2017 form book suggests Márquez could be in with his toughest challenge yet to keep his unbeaten record intact. Neither of Márquez’s traditional arch-rivals, Valentino Rossi and Jorge Lorenzo, have particularly impressive records around the American track, but there’s a new challenger coming to the fore in the form of new Yamaha hotshot Maverick Vinales – a former winner at COTA in the Moto2 class. Vinales dragged his nimble but somewhat underpowered Suzuki to an impressive fourth place last year, and now with the Yamaha at his disposal, the young Catalan has been the undoubted star of the winter - topping the testing times in Sepang, Phillip Island and Qatar, laying down the gauntlet to his opponents. That’s not to say Márquez will be giving up his ‘King of COTA’ status without one heck of a fight, but it means fans should have a thrilling duel at the head of the field to look forward to this April. 2017 MotoGP Red Bull Grand Prix of The Americas Tickets Now On Sale! Ticket sales for the 2017 MotoGP Red Bull Grand Prix of The Americas are still ongoing. In addition to the main MotoGP race, COTA will also play host to the Moto2, Moto3 and MotoAmerica support races across the weekend of April 21-23. One-day General Admission tickets are available from as low as $39, while three-day tickets to the Horsepower Rodeo start at just $89. COTA is also very close to selling out its VIP tickets for the race weekend so for anyone looking for that extra special race weekend, we advise you to book now. 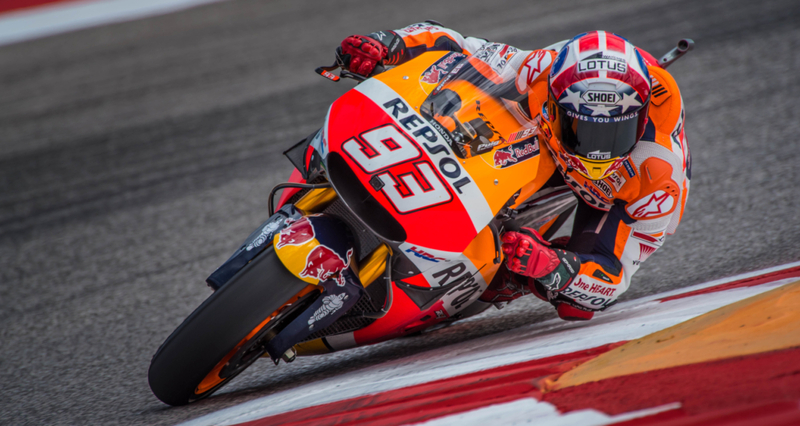 Fans can expect a jam-packed entertainment schedule on and off the track to celebrate the fifth staging of a MotoGP race in Austin, with family-friendly activities taking place around the Circuit throughout the weekend. Tickets are available at circuitoftheamericas.com.